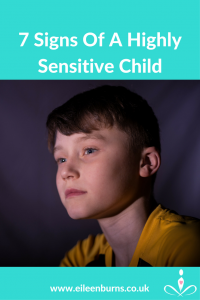 7 Signs Of A Highly Sensitive Child- Hyper Sensitive Child. Thankfully medical research is starting to recognise the highly sensitive child or highly sensitive person. Especially with increased awareness and education on those with sensory process or those labeled on the autism or aspergers spectrum, who are more visible as the highly sensitive child. So what are some of the most common signs of a highly sensitive child or HSP. The highly emotional child is often a highly sensitive child, their empathic nature makes them more likely to put other’s emotional needs before them-self. In-fact they will often over identify or take on other’s emotional pain, especially as they find it difficult to set healthy boundaries. Which can seriously affect their physical, mental and emotional well-being. The easily over stimulated child is often a HSP. Thus they are more easily stimulated; noise, visuals, smells, touch, movement and taste. For some the sensitivity can be so extreme, it can seriously impact their life. For example they may not be able to tolerate touch or find specific or loud sounds extremely painful or uncomfortable. Dislike Violence, Horror Movies, many highly sensitive children will find even the slightest violence quite disturbing. 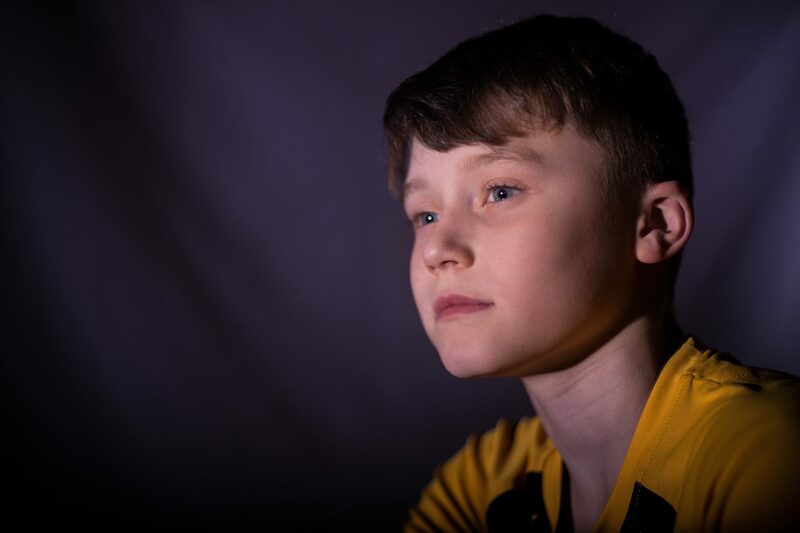 Irrational or irrelevant guilt is a common trait of the over sensitive child, due to their highly empathic nature and difficulty identifying their own emotions with others. They tend to be people pleasers, often to their own detriment. Many HSP’s will go out of their way to be kind, please others as they don’t want to hurt others or cause conflict. They will usually need more time out and alone. Highly sensitive kids and teenagers need more time to unplug from technology and other’s, Even if they appear sociable and talkative. They burn out and get over stimulated very easily. This can appear as high energy or fun to be around, but can often be over stimulation or over excitement. HSP’s are usually very intuitive and are good judge of character. But because of deep compassion and empathy will often let their heart rule their head. It is important they learn to trust and be guided by their inner guidance. Highly sensitive children need calm and respite from the over stimulation and information over load of modern life. As a meditation teacher and stress expert I have witnessed for many years, the huge benefits highly sensitive children would get from the right meditation skills and the right relaxation techniques. As the right type of meditation helps one access inner calm and peace no matter what is happening around them. My worked involved working with many children, teenagers with autism, aspergers and their parents. It is just as important that the highly sensitive child’s family learn to relax and manage their stress as the highly sensitive teenager or highly sensitive kid. Wonderful blog post, thank you so much, as a sensitive Empath I can so relate, also as a Mom of three, I know how important downtime and reconnecting with the peace and quiet within is. Great insights, and I hope many will learn to understand their sensitive children even better. I am so glad I found your site it’s so informative. I’m shaking my head the entire time I’m reading this post, because it sounds like my little boy. My 8 year old gets told he’s too sensitive all the time and it hurts his feelings. He was actually diagnosed with HSC and I was told my child had a very low pain tolerance. I never knew what any of this meant. Finding your site has opened my eyes!